This is the original artwork to page 1 of issue 4 of Marvel's comic adaption of Stephen King's The Dark Tower series. 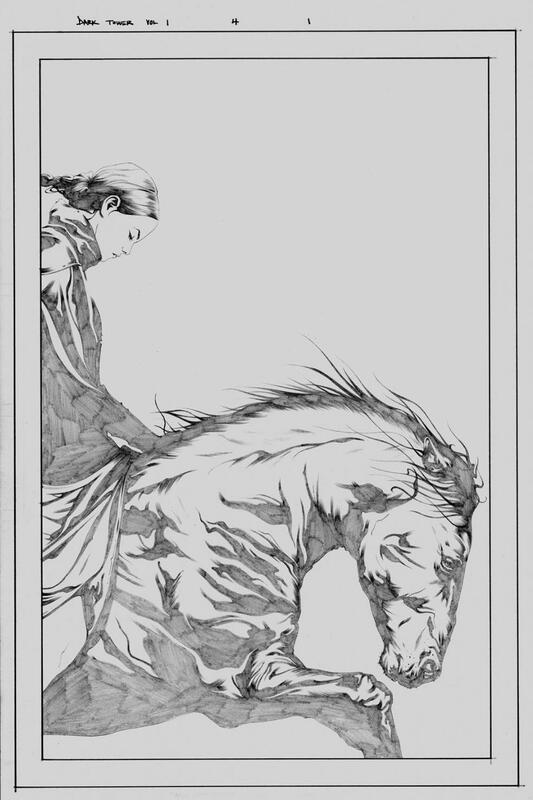 This page from The Gunslinger Born was done by artist Jae Lee and features Susan on her horse. This art was also used as a sketch variant cover for this issue.